UCLA Luskin professor emeritus Takahashi’s research focuses on public and social service delivery to vulnerable populations in the U.S. and in Southeast Asian cities. Her expertise spans several issues, including homelessness and HIV/AIDS in Los Angeles, community opposition directed at social services (the NIMBY syndrome) in the U.S., social capital and health for vulnerable populations, and environmental governance in the U.S. and Southeast Asian cities. She is currently investigating the dynamics of social capital, especially related to health in impoverished and marginalized communities. Her environmental governance research (with her collaborators Amrita Daniere and Jeffrey Carpenter) has investigated the role of low-income residents and non-governmental organizations in environmental management and policy making in Bangkok, Thailand and Ho Chi Minh City, Vietnam. She is a past Director of the University of California Asian American and Pacific Islander Policy Multicampus Research Program (UC AAPI Policy MRP), where she worked with state elected officials and community organizations to develop policy relevant studies that highlight areas of importance for California’s AAPI population. Recent reports have focused on educational disparities and victimization/incarceration patterns. She has served as president of the Association of Collegiate Schools of Planning. She taught courses on Planning Theory and History, Locational Conflict; Homelessness: Housing and Social Service Issues and Urban Policy and Planning. 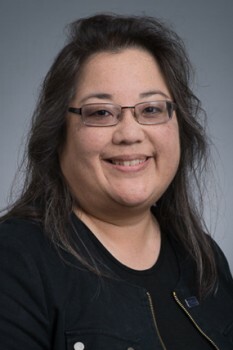 Takahashi served as interim dean during the time that a search was underway for a permanent successor to Frank D. Gilliam, Jr.